Here are some pictures of the new Inov-8 Roclite 319. It's the red and black one. I brought in the Roclite 320 which was the previous version of the shoe for a bit of a comparison. Biggest difference between the two? The 319 has a lot more room in the upper and the toe box than the 320, which is a very welcomed update. Linked is my video review of the Inov-8 X-Talon 212 over at iRunfar.com. Check it out and leave any comments or questions you might have about these lightweight racers. 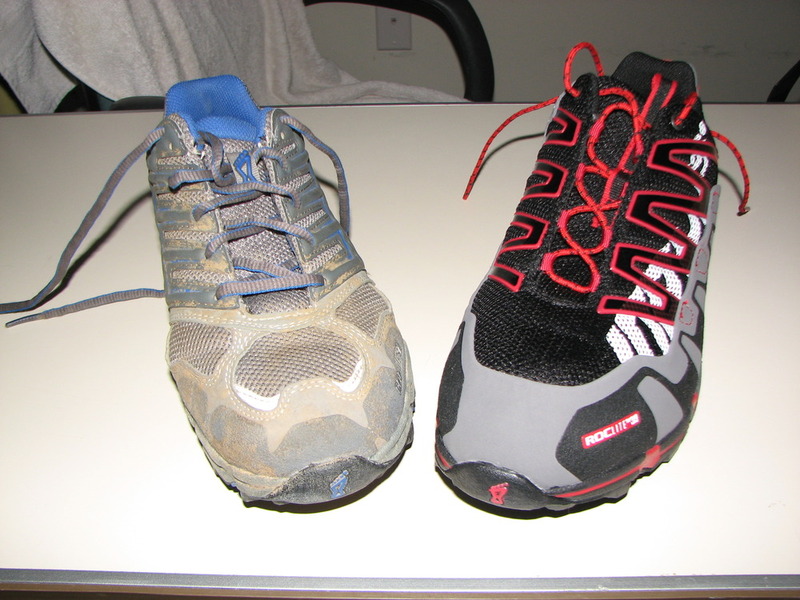 Episode 6 is a full review of Inov-8’s Roclite 320 and Roclite 305. We cover a bit about the manufacturer, the shoe’s naming convention, of course get into the details from heel to toe and how they compare. Leave us your thoughts in the comments! Click to Download below to save to your computer or use the links on the right to subscribe in your favorite podcast software. Tim Twietmeyer – Yes, it was 25 finishes under 24 hours!